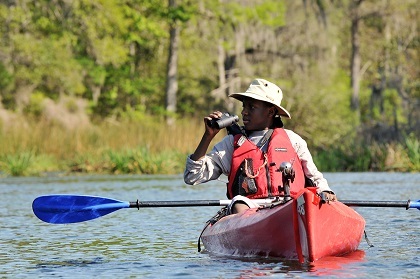 Welcome to the Wings Over Florida Junior Birder Program. The program was developed to help teachers introduce younger students (3rd – 4th grade) to bird watching. This guide has two parts, a teacher’s guide with background, resources and specific directions to lead students through the program. 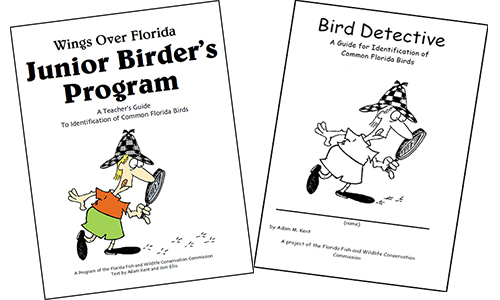 It also has a guide for students that introduces nearly 50 species of common birds found in Florida. To make this program widely available we are providing pdfs of the materials. Print one teacher’s guide and one student guide. Make two-sided copies of the student guide with page 1 and 2 back to back, page 3 and 4 back to back and so on. Copy one guide for each student. The pages are laid out so the two-sided pages can be folded in half to make a small booklet. Print page one on the back of the cover/index. Print page 3 on the back of page 2, page 5 on the back of page 4, etc. When you put these in order and fold them, you will have a booklet. and/or for information about this program please contact us at wildlifeviewing@myfwc.com. Don’t stop now! There are many more birds for you to see. Increase your list of Florida birds with the Wings Over Florida Certificate Program.